This villa is in building A. Less than 100 yards to the beach or large pool with separate children's pool, this third-floor villa has an excellent view of the ocean and pool from the balcony. There is also an elevator close to the unit. The Hilton Head Beach and Tennis Resort offers onsite tennis, convenience store, pro-shop, Restaurant, along with a Poolside bar and grill. Within five miles are over ten golf courses, charter fishing, and sightseeing cruises. This Non-Smoking villa features a Master bedroom with queen size bed, TV, and adjoining bath. 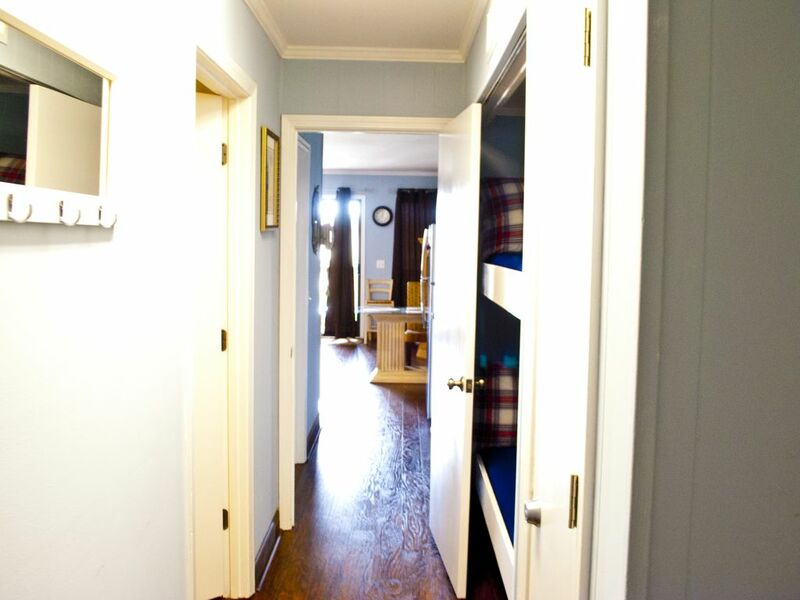 Two bunk beds built into the hallway. Living room with queen sleeper, TV/VCR, and radio. Kitchen with microwave, range, and refrigerator, blender, toaster, coffeemaker. Dining seats Four. lots of golf within 5 miles. We had an awesome time. Condo was nice and clean with all the amenities we needed. We hope to be back here soon. Very nice property. Room was very clean. Liked the hard wood floors. Reid is great. He replies to emails very quickly. The condo was very clean and super close to the beach, less than 5 minute walk from condo door to toes in the sand. The bed was one of the more comfortable ones that we have slept on. Property grounds are clean. Didn't see any trash on the ground. Lots of places to eat with in a few miles. Thank you Reid. Great location with good amenities! This Hilton Head pproperty was in a great location with a good view of the ocean and pool area! It was adequately furnished. Small bedroom but had what you needed. The pool(nice size) area had a grill/bar and ice cream stand that was very reasonably priced! Overall a very family friendly place. The beach was easily accessed and great walking either direction! The owner of the condo was very prompt in his responses and as for text communication seemed very nice and happy to share his property with others wishing to vacation on Hilton Head Island! Thanks! Reid was very helpful in booking! Villa had everything needed, good view, nice location! Perfect for our family of 5! Will definitely book again! Thanks Reid! This condo is in a perfect location! Such a short quick walk to the beach and centrally located to all dining/entertainment in Hilton Head. It was the perfect size for our family of 4. Very quiet and safe resort. Owner was very responsive to any and all questions. Condo was clean and loved how we could keep our sand toys/beach chairs in the little nooks in front of the door. Will definitely be back.